Let your voice be heard and book your round trip on a bus to Denver here, and ride with other marchers. They say a picture speaks a thousand words. Well a good sign speaks two thousand! Go big and don't worry about space - we have you covered. The Women's March is all about banding together for the right cause. 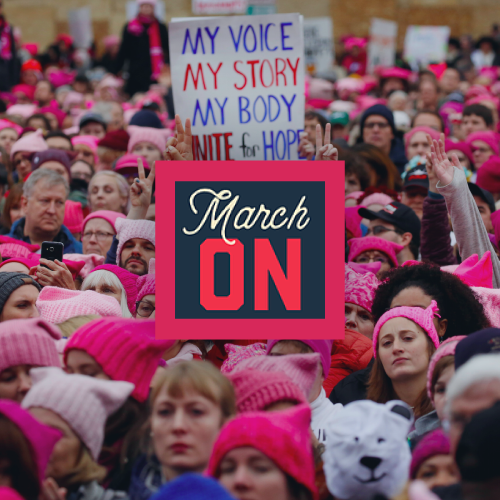 Start conversations and make connections on the way to and from the march. With convenient departure and arrival times you'll be able to participate in the full day of activities, and be able to relax on the ride back. Downtown Denver is going to be a zoo. Leave the driving to us and get dropped off and picked-up minutes from Civic Center Park. Thanks for making Women's March Colorado a success.